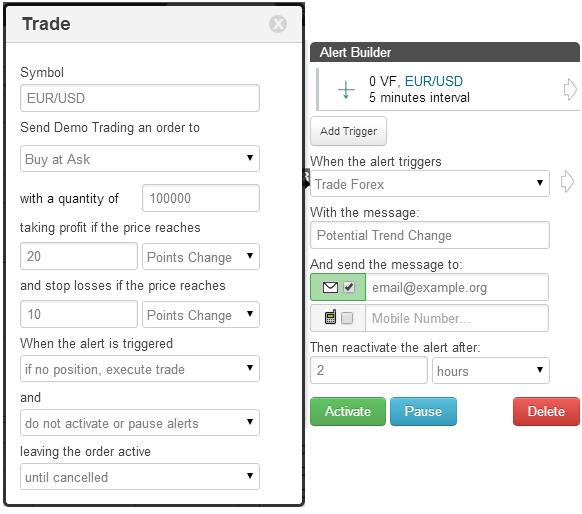 On the TimeToTrade charts, a Volume Force indicator can then be used to execute trades, provide an Email or SMS text message notification when your candlestick chart patterns have been met or backtest a trading strategy. The Volume Force technical indicator combines volume, trading range and price trend. The contribution of the volume is to only highlight the money flow associated with a given trend i.e. the strength of the trend. The indicator will switch between positive and negative values as the Trend (T) changes regardless of the underlying volume. The trending direction can be identified by whether or not the Volume Force indicator is above or below zero. 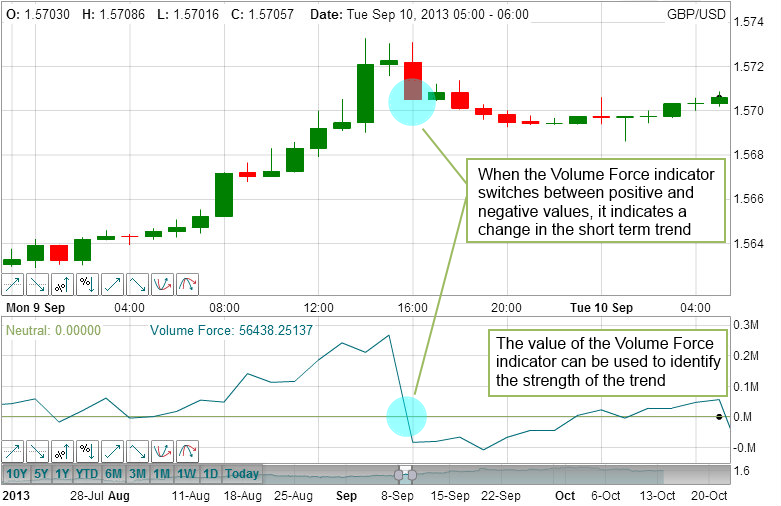 The strength of the trend can be identified by the value of the Volume Force indicator and the period of time that the value is above or below zero. Alternatively an alert could be set up to execute a trade or provide a notification of when the Volume Indicator rises above or falls below a threshold value and therefore indicate a potential breakout. Learn more about the Volume Force indicator. Rising Threshold Alert Trigger, is triggered when the value of the Volume Force rises above a specified value. Falling Threshold Alert Trigger, is triggered when the value of the Volume Force falls below a specified value. 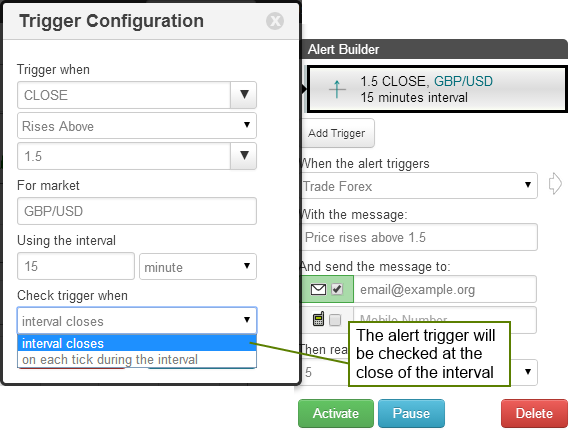 Break-Out Alert Trigger, is triggered when the Volume Force increases by a specified value within a the selected interval period. Pull-Back Alert Trigger, is triggered when the Volume Force decreases by a specified value within a the selected interval period. Percentage Break-out Alert Trigger, is triggered when the Volume Force increases by a specified value within a the selected interval period. 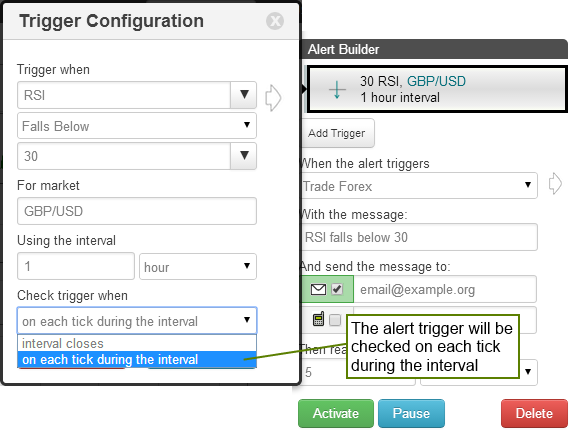 Percentage Pull-back Alert Trigger, is triggered when the Volume Force decreases by a specified percentage within a the selected interval period. 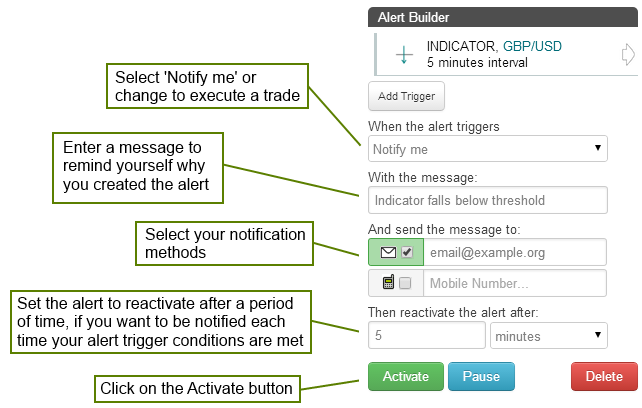 Above Alert Trigger, is triggered when the Volume Force is above a specified value. Below Alert Trigger, is triggered when the Volume Force is below a specified value. Positive Crossover Alert Trigger, is triggered when the Volume Force rises above / crosses over another indicator, price, a specified value or trend line that you have drawn on the chart. 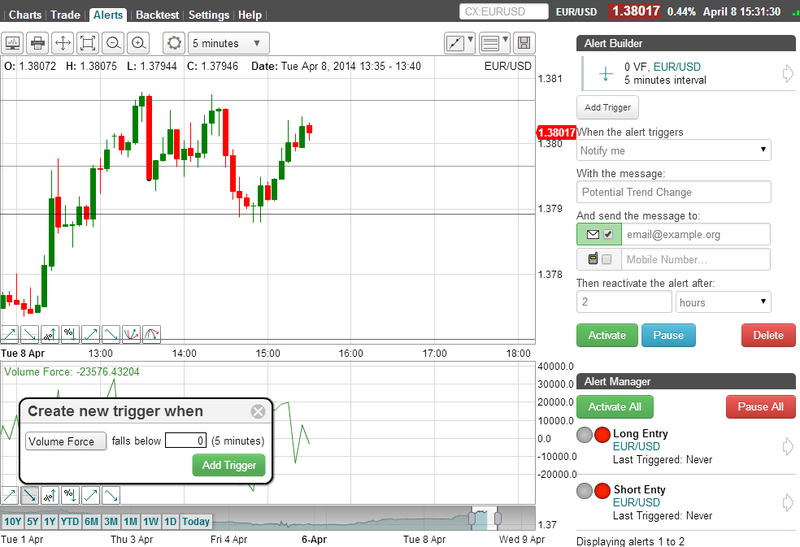 Negative Crossover Alert Trigger, is triggered when the Volume Force falls below / crosses under another indicator, price, a specified value or trend line that you have drawn on the chart.